Cory was born May 11, 1982 in Canada. He is 6 foot 3 inches tall! He enjoys skimboarding and surfing on his free time. He lists hockey and basketball as two of his favorite sports. You may have recently seen Cory in Glee but he was around long before that! He was on Kyle XY for a few seasons. If you haven't seen that show, be sure to check it out!!!! I really like Cory and he's a cutie! I didn't know he was in Kyle XY. I'm more of a Puck girl m'self. Ahh! He's soo dreamy. And his voice is LOVELY! I love him on Glee, nice pick! 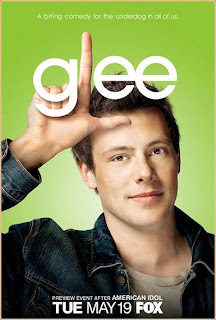 I've never seen Kyle XY, but I LOVE Cory in Glee!